What's Inside The Paperchase Stationery Advent Calendar? 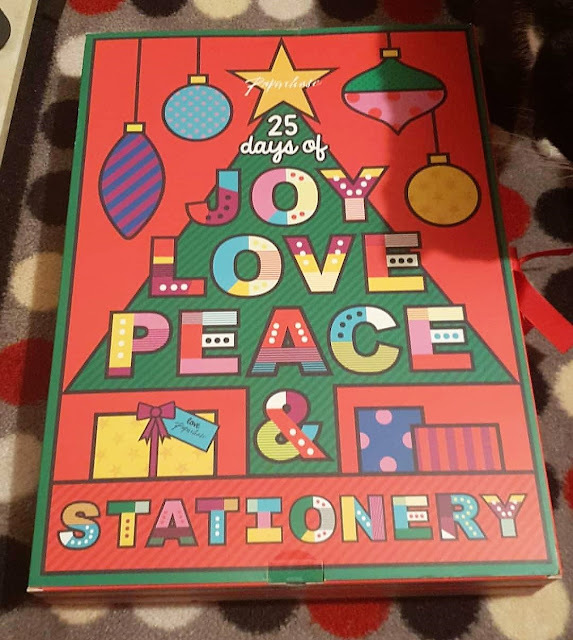 Unless you've been living under a rock recently, I'm sure you'll have heard of the Paperchase Stationery Advent Calendar. Out of stock for ages, I finally managed to get my hands on one just a few weeks before the start of December. And I knew straight away I wanted to blog about the advent calendar, and tell you what was in it and whether I thought it was any good. So read on, if that's your kind of thing. If not, come back Sunday for a new blog post! I must add, these photos are in no particular order. If you think I was organised enough to make a note of what door each of these stationery goodies were behind, then you're wrong. If you think I remember what door each of these stationery goodies were behind, you're still wrong. I do remember, however, that these three stationery goodies were behind the last few doors of the advent calendar. I do love stickers, but I'm not sure when I'm ever going to have cause to use Christmas T-Rex stickers. I'm sure I'll find a use for them. 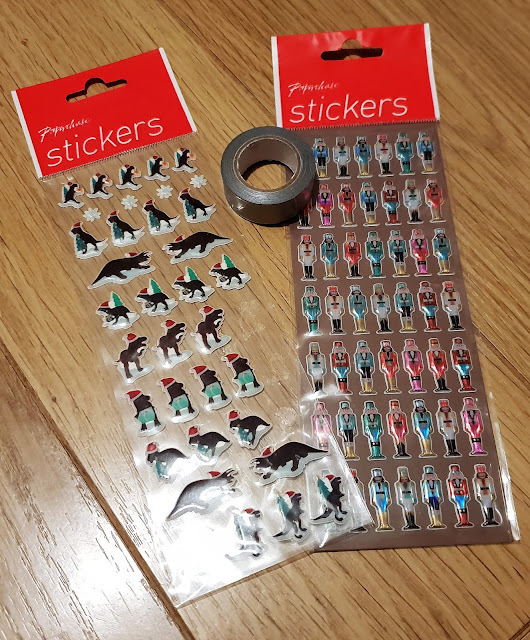 Nice to see some washi tape included, although a more patterned/colourful/fun print would have been appreciated. These were behind the first few doors of the advent calendar and are v v handy. I use paperclips all the time. And the Binder Clips are such a pretty metallic rainbow colour. I can't wait to use then in the future. Mini gel pens? Not so useful, but not the worst thing to have lying around either. You never know when you might need or want a gel pen. There were rather a lot of pens in the Paperchase Stationery Advent Calendar. Some fab. Some not so fab. I mean - what use is a yellow pen? Gold and silver gel pens? V handy for Christmas present tag writing! I rarely ever use pencils, but from now on whenever I do I am going to look fly. These rose gold and metallic rainbow coloured pencils are stunning and I almost don't want to sharpen them and ruin the appearance! Also, FLUFFY LLAMA PEN. Might have squealed a bit when I opened the door to find this pen behind it. I'm a sucker for a fluffy animal pen. Not so keen on the Camo Pen. But the Mermaid and Cat Pens? The best! It's funny because shortly before I bought this advent calendar, I had looked at buying the cat pen and a few other cat themed stationery goodies. I didn't, and now I'm glad. Because this Cat Pen was hiding behind door number one of the Paperchase Stationery Advent Calendar and now lives in my Filofax. It's cute, practical and nice to write with. A winner all around then. Oh, these were just the cutest! Pencil Toppers/Erasers in the most adorable form. The bear and the cactus now reside on my book shelves, and the Christmas tree has been put away for another year. 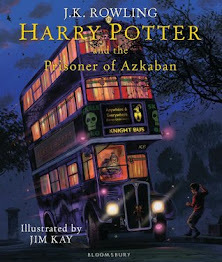 But it will reside on my book shelves too when Christmas comes around again. They're far too cute to be used, don't you agree? Some more v handy stationery goodies hiding behind some doors of the Paperchase Stationery Advent Calendar. 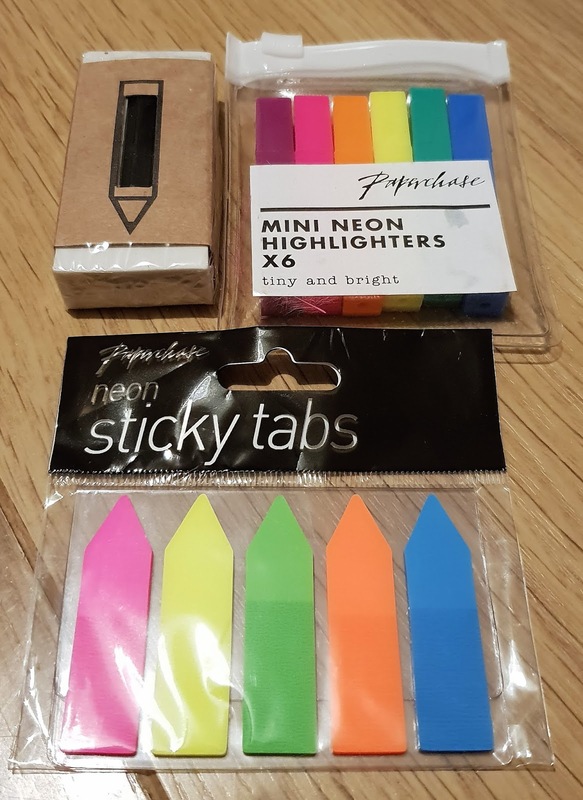 How fab are these Mini Neon Highlighters? They are perfect for popping in your handbag and using on the go. And since I won't be using the pencil toppers/erasers, a plain old Eraser is a v handy item to include. 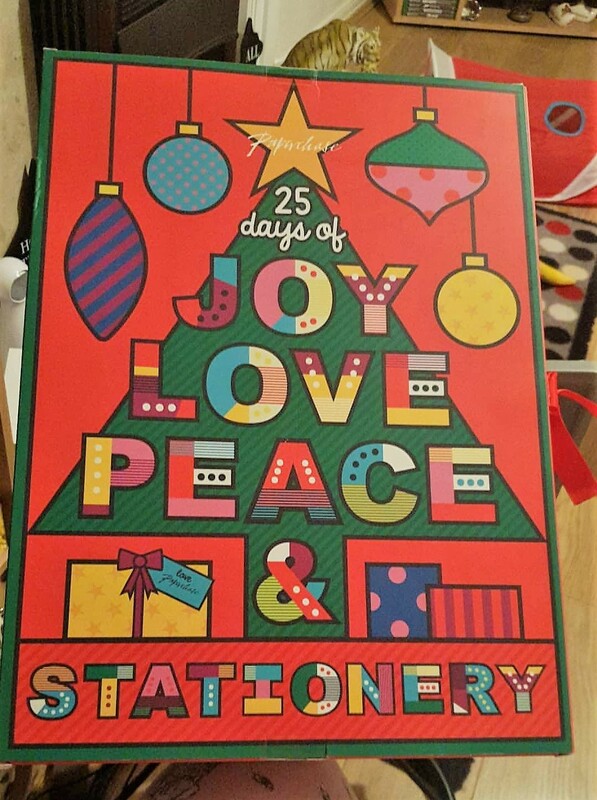 And finally, possibly my favourite stationery goodies from the Paperchase Stationery Advent Calendar. From left to right; Mini Lined Notebook, Mini Grid Pages Notebook, Mini 2019 Diary. The 2019 diary was actually behind door number 25. And I do love an advent calendar that includes day 25, as so many only go up to day 24. There was also, behind one of the doors, a gift card for Paperchase which I've just remembered I haven't used yet so that's my plan for today. Stationery shopping, baby! So, to sum up. The Paperchase Stationery Advent Calendar was fantastic. It had a wide variety of stationery goodies to suit everyone. 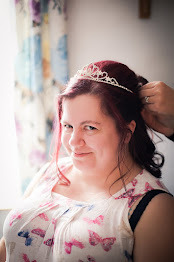 It was a wonderful lead-up to Christmas. And one of the best advent calendars I've ever had. However, I do feel that this is really aimed at women. Which feels a bit unfair, as I know blokes who like stationery too and might enjoy this. But who wouldn't be particularly thrilled with a fluffy pink llama pen and bright pink 2019 diary. It's also huge, it was nearly as tall and wide as my fireplace! Contents seemed to shift during transit, too, as when I came to open some doors I found the item wasn't there or there were multiple items there when there should have just been one. So some careful planning when it comes to how the items are kept in place during transit is needed. But, I believe, this is Paperchase's first Stationery Advent Calendar. So I'm sure they'll continue making improvements if they decide to put one out again this year. Did you get your hands on a Paperchase Stationery Advent Calendar? If not, did you want to? This calendar looks great! 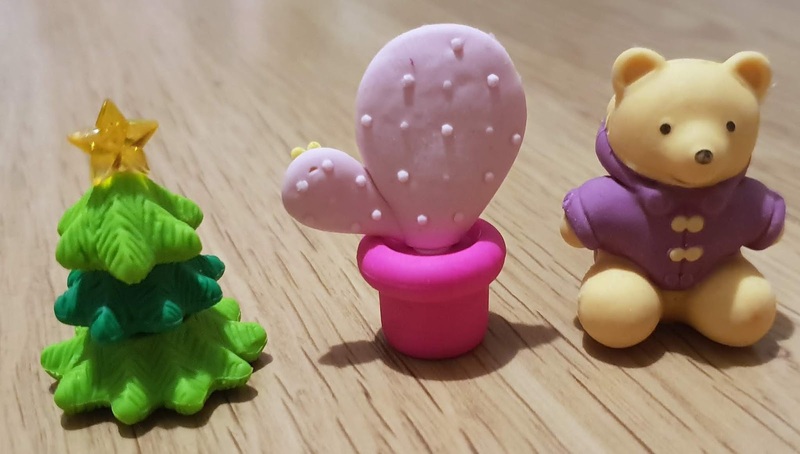 My favourite thing is the teddy bear pencil topper. Far too cute to ever use. The t-rex xmas stickers are hilarious!